Vehicle Selling Solutions (844) 814-9388 1941 S. 42nd St. • Suite 104 Omaha Nebraska 68105 ? ? ? ? 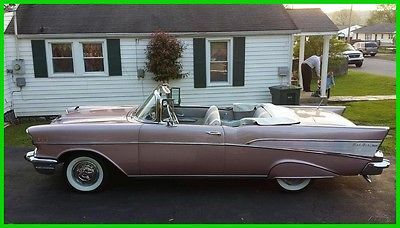 1957 Chevrolet Bel Air Convertible Vehicle Information VIN: C57T137444 Stock: 7262 Mileage: 111,141 Color: Dusk Pearl with White Top Trans: 3 Speed Automatic Engine: 283 V8 Drivetrain: ? ? Description 1957 Chevy Bel Air Convertible For Sale in Elizabethton, Tennessee 37643 Turn heads wherever you go in this classic convertible! This convertible features a beautiful Dusk Pearl with White Top exterior complimented with Silver and White interior. It has always been well maintained inside and out and garage kept. It has an automatic with the 283 power pack in it. Features include: a one piece front bumper, power antenna, wide whites and spinners, and it has a new top and boot. Looks and drives great. You must see this car to appreciate it! It won several car shows in our local area and got many trophies. Don’t let this opportunity pass! Call (402) 502-8385 for more information. Video ?Credit Application ?Directions to Dealer ?Contact Us Options and Standard Features Basic Information Stock Number: 7262 VIN Number: C57T137444 Model Year: 1957 Make: Chevrolet Model: Bel Air Vehicle Type: Convertible Exterior Color: Dusk Pearl With White Top Interior Color: Silver/White Engine Engine Description: 283 V8 DriveTrain Transmission: 3 Speed Automatic ? Apply Now Secure Credit Application Applying for a vehicle loan online is one of the quickest and easiest application methods. Our secure application is easy to complete, all you need are a few personal and employment details. Contact Vehicle Selling Solutions 1941 S. 42nd St. Suite 104 Omaha Nebraska 68105 View Map Ask for:Vehicle Selling Solutions Contact: ?Contact Us Primary Phone:(844) 814-9388 Terms Placing a Bid: Your bid constitutes a legally binding contract to purchase this vehicle. Please do not bid if you're not seriously interested or financially able to purchase this vehicle. Please read eBay's User AgreementVehicle Selling Solutions reserves the right to,Obtain and verify the registered information of all users who bid on this auction.Cancel any and all bids at our discretion, or end the auction early if necessary.Bidders Age: You must be 18 years of age or older to Bid.Special eBay Bid Retraction Rules: Please read eBay's "Retracting a Bid"If you place a bid before the last 12-hour period of the auction:You may retract that bid before that last 12-hour period but only for exceptional circumstances. You will not be allowed to retract that bid during the last 12-hour period of the auction.If you place a bid during the last 12-hour period of the auction:You will be allowed to retract the bid for exceptional circumstances but only if you do so within one hour after placing the bid.Funds & Financing:For help in arranging for a Pre-Approved loan or for any questions please e-mail or phone Rebekah at (844) 814-9388 prior to bidding.Buyers Inspection: Vehicle Selling Solutions has done our best to disclose all information known about this vehicle for auction. Vehicle Selling Solutions welcomes a buyers inspection. If you plan to have a buyers inspection, please make sure you inspect the vehicle prior to the auction ending. Inspection fees if any are Buyers responsibility.Representations and Warranties made by seller: This vehicle is being sold "as is". Manufacturer's warranties may still apply. Extended warranty may be available, e-mail or phone Rebekah at (844) 814-9388 for details. No representations or warranties are made by seller, nor are any representations or warranties relied upon by bidders in making bids.Taxes and Registration fees: Out of state buyers are responsible for all state, county, city taxes and fees, as well as title service fees in the state that the vehicle will be registered. All taxes and fees must be paid in full in order for vehicle to be titled and registered.Title Information: Vehicles titles may be held by banks or lenders as collateral for loans. In many cases there is a delay in receiving the original instruments up to 21 days from the time we pay a vehicle off. While we usually have all titles in our possession at closing, there are occasions where we may be waiting for them to arrive. If payment is made by cashier's or personal checks we will hold all titles for 10 days or until funds have cleared.Shipping & Delivery:All shipping charges are buyer's responsibility. 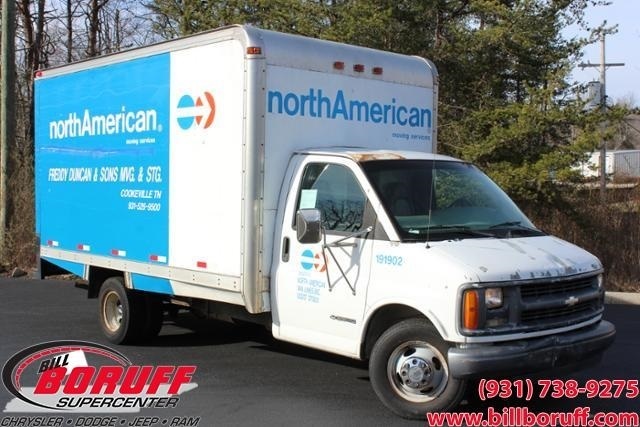 Vehicle Selling Solutions will help with shipping arrangements but will not be responsible in any way for claims arising from shipping damage!Licensed Carriers are generally insured for $3,000,000.00. We assume no responsibility for damages incurred after the vehicle leaves our showroom. All shipping arrangements are provided byVehicle Selling Solutions as a courtesy. We are not affiliated with any carrier. Any claims or other communication regarding shipment of vehicles will be between you and the shipper, not withVehicle Selling Solutions.The amount of time it takes for delivery is dependent on the carrier, but is generally 7-14 days from the date the vehicle is picked up from our facility until it is delivered to your destination. Verify with the shipper for an Estimate Time of Arrival to be sure.Finalizing your Purchase:Vehicle Selling Solutions will contact the successful high bidder by e-mail after the auction closes.Successful high bidder MUST communicate with Rebekah at Vehicle Selling Solutions by e-mail or phone (844) 814-9388 within 24 hours of the auction ending to make arrangements to complete their transaction. If we cannot confirm your intention to buy or the sale is not completed within 5 days, we reserve the right to relist this vehicle or sell to any other qualified buyer.In order to secure bid on vehicle, Successful bidder (BUYER) must within 24 hours of bid closing send to Seller a Deposit in the amount of 10% by major credit card, cash in person or bank certified funds. Within 72 hours of bid closing, Buyer must send balance of funds by cash in person or bank certified funds to Seller.At time of sending initial deposit, Buyer MUST fax copy of their State issued valid Driver License. Furthermore, before said vehicle is released for shipment to Buyer, all other Sale related and title related paperwork must be signed and returned complete to Seller. Copyright © 2017 Auction123 - All rights reserved. - Disclaimer +- Auction123 (a service and listing/software company) and the Seller has done his/her best to disclose the equipment/condition of this vehicle/purchase. However, Auction123 disclaims any warranty as to the accuracy or to the working condition of the vehicle/equipment listed. The purchaser or prospective purchaser should verify with the Seller the accuracy of all the information listed within this ad. Selling a Vehicle? Create Professional Listings Fast and Easy. Click Here! 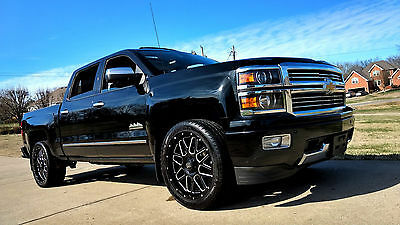 2017 Chevrolet Silverado 3500HD LTZ 4x4 Z71 High Country Crew Cab 6.6L Duramax Black/ Black Heated/Cooled Leather Sunroof 5th Wheel Prep Driver Alert Package Message Vehicle Information VIN: 1GC4K0EYXHF143217 Stock: 17T327 Mileage: 10 Color: Graphite Metallic Trans: Automatic 6-Speed Engine: 6.6L V8, Diesel MPG: Drivetrain: 4WD Description 2017 Chevrolet Silverado 3500HD High Country Crew Cab 4x4 6.6L Duramax with Allison Transmission, Black with Black Heated/Cooled Leather, Sunroof, Navigation, Forward Collision Alert/Lane Departure Warning, 5th Wheel/ Gooseneck Prep Package MSRP $69,165.00 Price plus your local and state taxes and tags plus our $396.00 doc fee. Add $150.00 out of state DMV fee if applicable. 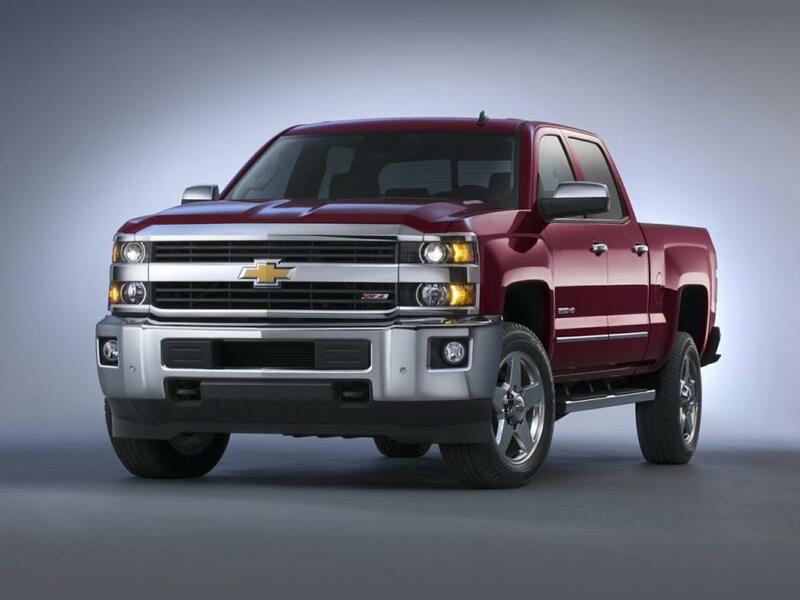 Vehicle #1: 2017 Chevrolet 3500HD SilveradoVIN/Order #MSRPStock #1GC4K0EYXHF143217$69,165.0017T327Additional Vehicle InformationGM Marketing Information Body Style:CK35743-Crew Cab 4WD PEG:1LZ-1LZ Preferred Equipment Group Primary Color:GPA-Graphite Metallic Trim:H3B-Leather, Jet Black, Heat and Vented, Interior Trim Engine:L5P-Engine: 6.6L V8 DuraMax Diesel, Turbo Transmission:MW7-Allison, 6-Speed Automatic Options:1LZ-1LZ Preferred Equipment Group1SZ-DURAMAX PLUS PACKAGE DISCOUNTA31-Power WindowsA45-Memory Settings, recalls presets for driver pwr seatA48-Window, Power Rear SlidingA91-Tailgate Lock, Remote ControlledAKO-Glass, Deep TintedAN3-Seats: Front, Full Feature BucketAQQ-Keyless Remote EntryAU3-Power Door LocksAY0-Airbags- Head Curtain, Side ImpactB1J-Liner, Rear WheelhouseB30-Floor Covering: Carpet, Color KeyedB85-Moldings, Bright Body SideBTV-Remote Engine Starting PkgC49-Defogger, Rear Window, ElectricCF5-Sun Roof, Electric SlidingCGN-Liner, Pick-Up Box, Black, Spray-in Textured PolyureaCJ2-Climate Control, Electronic - Multi-zoneDD8-ISRV Mirror, Electro-chromaticDQS-Mirrors, Prem, O/S, Wide Load/Trailering, Full FeatreE20-Handles, Outside Door, ChromeE63-Body: Pick-Up Bed / BoxFE9-Federal EmissionsG1Y-GVW Rating 11,500 LBSG80-Locking Differential, RearGPA-Graphite MetallicGT4-Rear Axle, 3.73 RatioH3B-Leather, Jet Black, Heat and Vented, Interior TrimIO6-Radio, Nav, 8" Color Screen, Bluetooth, w/ USB PortJF4-Pedals, Power AdjustableJL1-Integrated Trailer Brake ControllerK05-Engine Block HeaterK34-Cruise ControlK40-Engine Exhaust BrakeK47-Air Cleaner, High CapacityK4C-Wireless ChargingKC4-Cooler, Engine OilKG4-Alternator, 150 AMPKI4-110 Volt Electrical Receptacle, In CabKNP-Transmission Cooling SystemKQV-Seats, Heated & Vented, FrontL5P-Engine: 6.6L V8 DuraMax Diesel, Turbo MW7-Allison, 6-Speed AutomaticN37-Steering Column, Manual Tilt & TelescopingN79-Wheel, Spare, 18 x 8.0, SteelNQF-T-Case, w/ Rotary Dial Controls, Electronic ShiftNZZ-Underbody ShieldPCH-DuraMax Plus PackagePDF-LTZ Plus PackagePPA-Tailgate: EZ-Lift and LowerPYV-Wheels: 18" AluminumQGM-Tires: LT 265/70R18 ALT BWSAF-Spare Tire LockSLT-Sales PackageT3U-Fog Lamps, FrontTG5-Compact Disc & MP3 PlayerU01-Roof Marker LampsU2K-SiriusXM Satellite Radio (subscription)U2L-High Definition Radio ReceptionUD5-Parking Assist, Front & Rear SensorsUE1-OnStar Communication SystemUEU-Sensor, Forward Collision AlertUF2-Lighting, Cargo Box, Under Bed Rail, LEDUFL-Sensor, Lane Departure WarningUG1-Homelink Garage Door OpenerUK3-Radio Controls -Steering WheelUQA-Speaker System: Bose PremiumUTJ-Theft Protection System, Unauthorized EntryUVC-Rear View Camera SystemUVD-Heated Steering WheelV10-Diesel Engine Winter CoverV22-Grille: Chrome SurroundV46-Bumper, Front, ChromeV76-Recovery HooksVJH-Bumper: Rear Chrome StepVK3-License Plate Front Mounting HardwareVV4-Onstar 4G LTE Wi-Fi HotspotVXH-LPO - Assist Steps, 6" Rectangular, Tubular, ChromeY65-Driver Alert PackageYM8-LPO Processing OptionZ6A-Gooseneck / 5th Wheel Prep PackageZ71-Suspension Package: Off-RoadZ82-Trailering PackageZWF-Tire Spare: LT 265/70R18 BW ALSZY1-Paint, Solid ? ? Out of State Buyers View on YouTube Out of State Buyers Helpful Information:Contact InformationIf you have any questions or would like to talk about buying from out of state, Please Call Jerry Randolph at (855) 507-8520 or you can email jerry@wilsoncountyauto.com.Our DealershipI promise you’ll enjoy your experience with Wilson County Chevrolet Buick GMC. We are a family run dealership that has been in business since 1927. We’ll gladly pick you up at Nashville International Airport (BNA) or deliver the vehicle to your doorstep.If after your purchase, you decide to stay a couple of days in Nashville to sample some of Country music’s finest let us know. We can help arrange discount packages at the world famous Opryland Hotel or if you would rather be downtown… We can assist there also FinancingWe offer competitive financing nationwide. Even if you already have financing, in most cases we can match or beat the rate, and you get the added benefit of a one stop shop. Fill out our easy online application to finance your next new or used vehicle purchase.We Offer: * Competitive interest Rates and Terms WAC * Quick and easy online application * Pre-approval for auto financingExtended WarrantyExtended Service contracts and other products may be available to you depending on the year make model and mileage on the vehicle.Common Questions:We welcome trades if you have one or more trade in's, we will email you our online trade evaluation form to complete and send back to get your current value subject to final look over and inspection.When trading the traded vehicle must be driven to the dealership to do the exchange No Exceptions.Shipping options are available click here for a free quote: http://www.centriccarriers.com/quote.htmlIf shipping is elected we will Overnight UPS your paperwork to sign and have you return the paperwork back to us.To secure your vehicle a non-refundable minimum down payment of $1,000 will be taken via credit/debit card.Down payment and or full payment can be made in the form of a cashier’s check/money wire/cash or approved financing.Vehicle must be paid for in full and all paperwork completed before being released.All new vehicles must be titled and registered by the dealership No Exceptions. Wilson County Motors A Bone Family Tradition has been serving the area since 1927. We moved into our new location in the summer of 2013 at 903 S. Hartmann Drive Lebanon, TN 37090.We have been able to increase our inventory along with adding on to our already great staff. 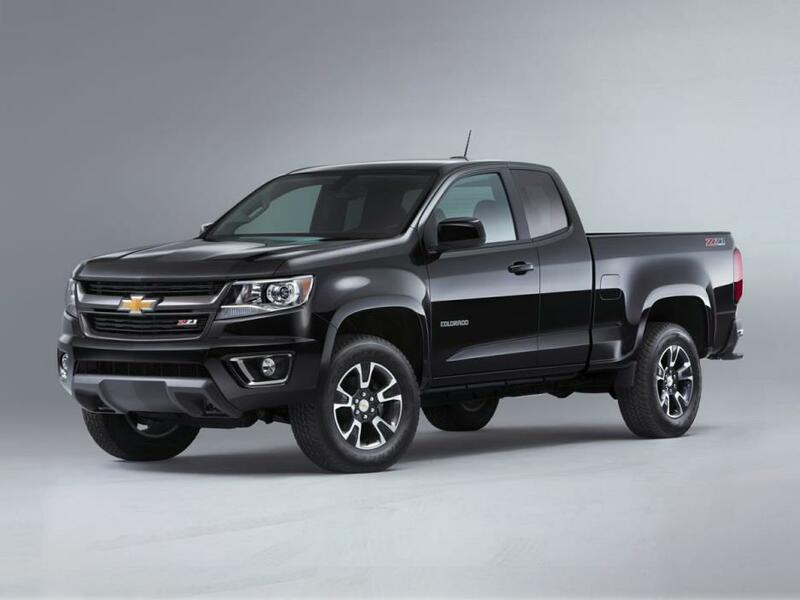 We stock many hard to find vehicles that many other Chevrolet Buick GMC Dealers are unable to stock or get allocated.With stocking vehicles such as the 2015 and 2016 GMC Sierra 1500, 2500, 3500 light duty and HD versions. 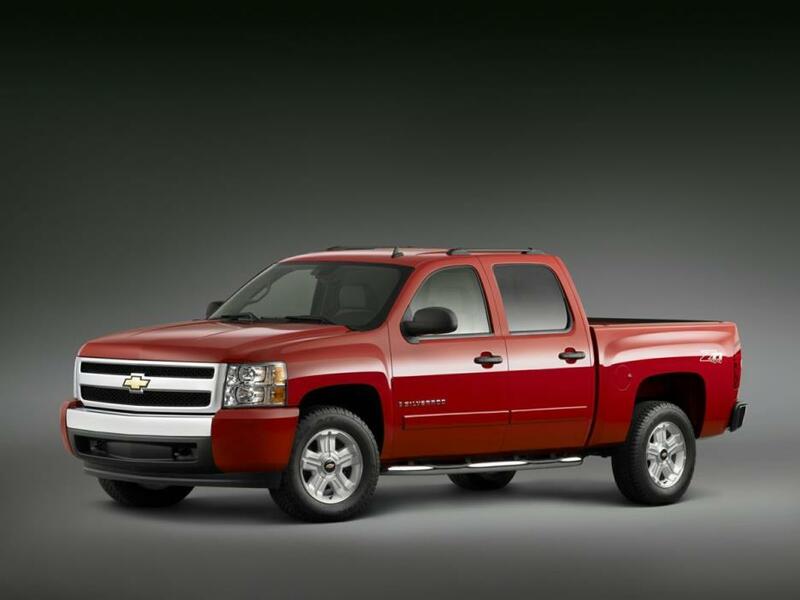 We offer Denali trim levels with the Duramax engine option. 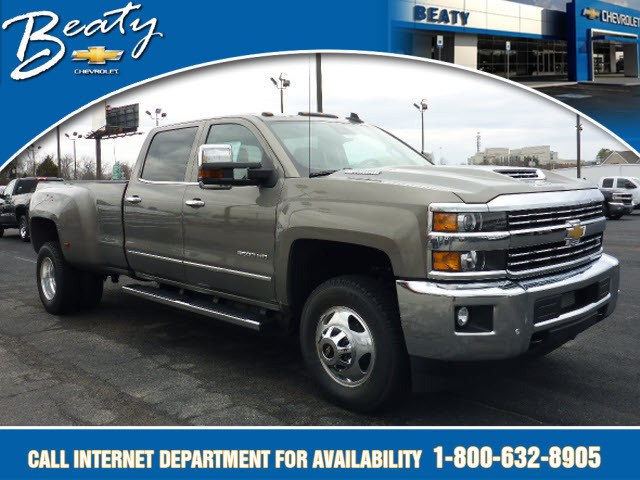 A great variety available with the ability to offer great pricing and service from a dealer that is second to none.Along with Sierra we offer the 2015 and 2016 GMC Yukon’s either 4x4 with the hard to find 6.2L V-8' S or the Yukon XL.We serve many customers from the State of New York, New Jersey, and even Massachusetts. These customers have flown in to Nashville BNA, or even drive in to Lebanon, TN to get their new vehicles.One may ask why go so far to get a new Chevy Buick or GMC? Well we advertise on places like EBay and do many informational videos on YouTube, and offer not just great deals but give the customer an experience like no other.Please see for yourself why and what customers have to say about their experiences by checking out reviews sites on our website www.wilsoncountymotors.com or others places like Google, Cars.com, Yelp, and many others.We have a great shipping company that can bring your new GMC or Chevy to your doorstep. 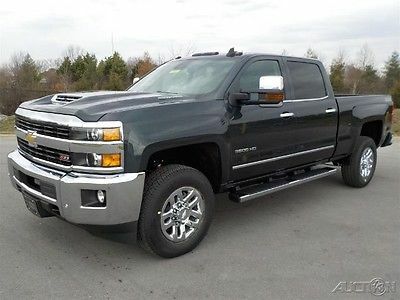 We have shipped many cars to California, Texas, Arizona and so many more.Are you looking for that hard to find 2015 or 2016 Chevrolet Silverado 1500, 2500, 3500 with the High Country package with a Duramax? You want the 6.2L in the 1500 or options and colors on the HD in a SRW or DRW? Also stocking Rocky Ridge Custom Trucks, Tuscany Custom trucks, Chevy Midnight Edition, Rally 22 Edition, Black Out Edition, and so much more. Check out www.wilsoncountymotors.com for our great selection or Call Jerry Randolph 855-507-8520 directly. We will even do a custom order for you to get your next Chevy or GMC.Recent Buyers from the Northern states of Wisconsin, Michigan, and Pennsylvania are wowed by our great selection as their local dealers just don’t have what their looking for so they call Wilson County Motors in Lebanon, TN to get their new vehicles.Is it the 2015 or 2016 Chevrolet Tahoe or Suburban you’re wanting? We stock many of these in many different colors and hard to find options, and offer great deals to go with that.Florida buyers, Mississippi, and others like Alabama and Georgia now find Wilson County Motors their new place to buy their new Chevrolet and GMC.If you want to make a trip to Nash Vegas as they call it, and visit places like the Grand Ole Opry why not get your new Silverado HD or GMC Denali HD while you’re here.Colorado, Nebraska and Kansas buyers are just a few of the many states we have sold to as well. Only a few states in the US we have not sold to but as time comes and more buyers find us we're sure to cover them all in the near future. Our Dealership ?Credit Application ?Directions to Dealer ?Contact Us Options and Standard Features Options ? Duramax Plus Package ? Power Sunroof ? Driver Alert Package ? 6 Rectangular Chromed Assist Steps (Lpo) ? Heated & Vented Front Seating ? Front Full Feature Bucket Seats ? Spray-On Pickup Box Bed Liner W/Bowtie Logo ? Off-Road Suspension Package ? Single-Stage Driver & Front Passenger Air Bags ? Gooseneck/5Th Wheel Prep Package ? Tires: Lt265/70R18e At Bw ? Led Cargo Box Lighting ? Engine Block Heater ? 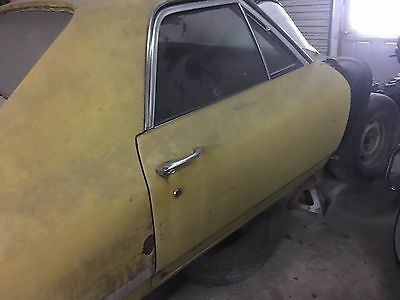 Smoked Amber Roof Marker Lamps ? 4 Doors ? 4-Wheel Abs Brakes ? 6.6 Liter V8 Engine ? 8-Way Power Adjustable Drivers Seat ? Air Conditioning With Dual Zone Climate Control ? Audio Controls On Steering Wheel ? Automatic Transmission ? Bluetooth ? Cruise Control ? Driver Memory Seats ? External Temperature Display ? Four-Wheel Drive ? Front Fog/Driving Lights ? Heated Drivers Seat ? Heated Passenger Seat ? Leather Seats ? Memory Settings For 2 Drivers ? Multi-Function Remote - Trunk/Hatch/Door/Tailgate ? Remote Engine Start ? Passenger Airbag ? Power Heated Mirrors ? Power Windows With 4 One-Touch ? Remote Power Door Locks ? Tachometer ? Tilt And Telescopic Steering Wheel ? Traction Control - Abs And Driveline ? Universal Remote Transmitter Basic Information Stock Number: 17T327 VIN Number: 1GC4K0EYXHF143217 Style Name: 4X4 Crew Cab 153.7 In. 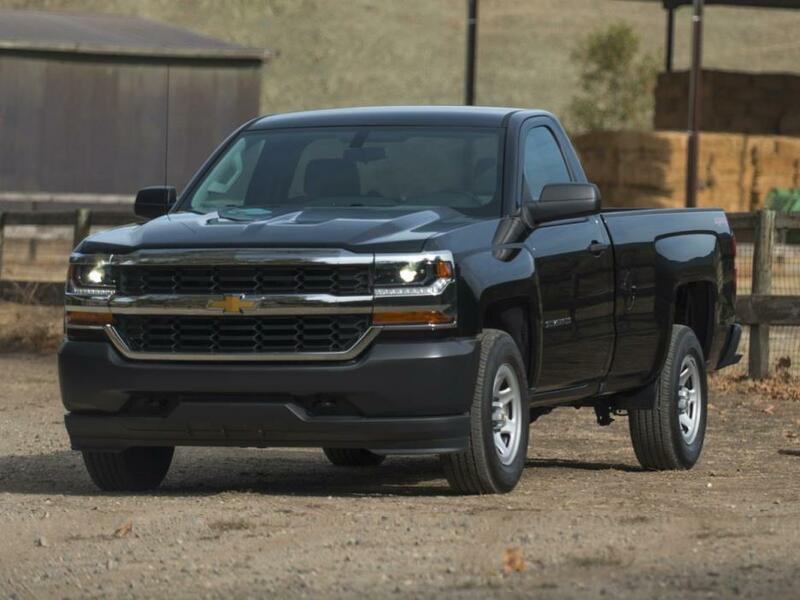 WB SRW LTZ Make: Chevrolet Model: Silverado 3500HD Model Year: 2017 Vehicle Type: Pickup Vehicle Trim: LTZ Z71 4X4 6.6L Duramax Diesel Interior Color: Jet Black W/Perforated Leather Appointed Seat Trim Exterior Color: Graphite Metallic Body Type: Crew Cab Engine Engine Description: 6.6L V8, Diesel Fuel Type: Diesel Fuel Induction: Diesel Direct Injection Valves Per Cylinder: 4 Aspiration: Turbocharged DriveTrain 4WD Type: Part-Time Differential Limited Slip: Mechanical Driven Wheels: Four-Wheel Locking Hubs: Auto Transfer Case: Electronic Transmission: Automatic 6-Speed Wheels Rims: Chrome Aluminum Wheels Spare Rim Type: Steel Drive Train Type: 4WD Suspension Independent Suspension: Front Stabilizer Bar: Front Instrumentation Clock Compass External Temp Low Fuel Level Tachometer Trip Computer Roof and Glass Front Wipers: Variable Intermittent Privacy Glass: Deep Rear Defogger In Car Entertainment Antenna Type: Fixed Audio System: AM/FM/HD/Satellite Premium Brand: Chevrolet Mylink Speakers: 6 Seats Drivers: Multi-Level Heating Drivers Height: Power Drivers Lumbar: Power 2-Way Drivers Power: 8 Passenger: Multi-Level Heating Passenger Height: Power Passenger Lumbar: Power 2-Way Passenger Power: 8 Seating Capacity: 6 Front Seat Type: Split-Bench Upholstery: Leather Center Armrest Folding: Fold-Up Cushion Convenience Cruise Control Cupholders: Front And Rear Door Pockets: Driver, Passenger And Rear Overhead Console: Mini With Storage Power Outlets: 3 Seatback Storage: 2 Steering Adjustment: Tilt And Telescopic Steering Power: Speed-Proportional Power Steering Universal Remote Transmitter Power Mirrors: Power Remote Power Retractable Mirrors Power Door Locks Windows: Power Windows Satellite Communication: Onstar Guidance Memory Features Exterior Mirrors Memory Features Number Of Drivers: 2 Comfort Air Conditioning: Automatic Dash Trim: Simulated Wood/Metal-Look Door Trim: Simulated Wood Mats: Vinyl/Rubber Front And Rear Reading Lights: Front And Rear Shift Knob: Urethane Steering Wheel Trim: Leather/Metal-Look Vanity Mirrors: Dual Illuminated Vanity Mirrors Features Aux Engine Cooler: Regular Duty Aux Transmission Cooler: Regular Duty Bumpers: Chrome Door Reinforcement: Side-Impact Door Beam Engine Hour Meter Safety Turning Circle: 51.8 ABS: 4-Wheel Anti Theft System Brake Assist: Braking Assist Safety Locks: Manual Daytime Running Light Engine Immobilizer Headlights Auto Delay: Auto Delay Off Headlights Dusksensor: Dusk Sensing Front Headrests: Manual Adjustable Rear Headrests: 2 Rear Center Seatbelt: 3-Point Belt Safety Signal Mirrors: Turn Signal In Mirrors Safety Stability Control Driver And Passenger Airbag Stability Control: Stability Control With Anti-Roll Door Reinforcement: Side-Impact Door Beam Towing and Hauling Trailer Hitch Doors Liftgate Window: Power Rear Door Type: Tailgate Side Door Type: Conventional Dimensions Front Head Room: 42.8 Inches Front Hip Room: 60.7 Inches Front Shoulder Room: 64.8 Inches Front Leg Room: 45.3 Inches Rear Head Room: 40.5 Inches Rear Hip Room: 60.2 Inches Rear Leg Room: 40.9 Inches Rear Shoulder Room: 64.3 Inches Length: 239.5 Inches Width: 80.5 Inches Height: 78.2 Inches Wheelbase: 153.7 Inches Ground Clearance: 8.4 Inches Max Gross Vehicle Weight: 10,000 Lbs. Curb Weight: 6,717 Lbs. ? Apply Now Secure Credit Application Applying for a vehicle loan online is one of the quickest and easiest application methods. Our secure application is easy to complete, all you need are a few personal and employment details. 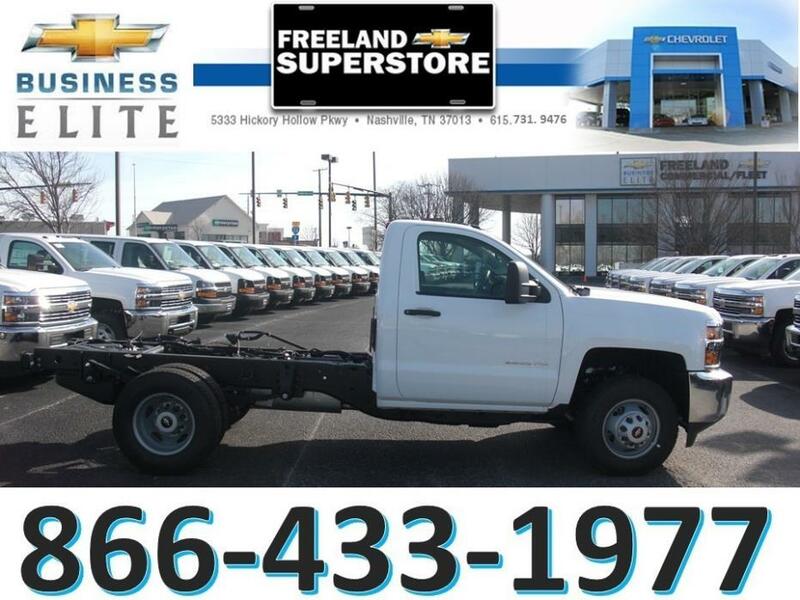 Contact Wilson County Chevrolet Buick GMC 903 South Hartmann Drive Lebanon Tennessee 37090 View Map Ask for:Jerry Randolph Contact: ?Contact Us Toll Free:(615) 444-9642 Hours Mon-Sun:08:00 AM-08:00 PM EST Our Customers Keep Spreading CLICK HERE FOR SHIPPING OPTION AND PRICING About Us Satisfied Customers at Wilson County Motors Video Have A Trade? Look Here! DO YOU HAVE VEHICLE YOU NEED TO TRADE? We would like an opportunity to bid on your trade in. I have this Self-evaluation Trade-in Form to complete below for a site unseen appraisal. Please include a few pictures. Pictures can emailed or texted to my cell phone 615.414.1770 The first step is evaluating your trade-in is for you to go through this form and provide detailed information regarding the condition of your current vehicle. From this information we will be able to provide an Actual Cash Value for your trade-in (Subject to condition verification) Once this value has been determined we guarantee to buy your vehicle for the Actual Cash Value even if you decide to purchase a new vehicle elsewhere. Name: Address: Phone Number/Email: Tell us about your car: Vehicle Year: Make: Model: Color: Miles: VIN Number: Did you buy the vehicle new? If no how long have you had this vehicle? Please explain: Has your vehicle ever been in an accident? Cost of repairs? Is there any existing damage to the vehicle? Where? Who holds the title? Is title designated “Salvaged"? When does the registration expire? What is the payoff amount? Service records available? 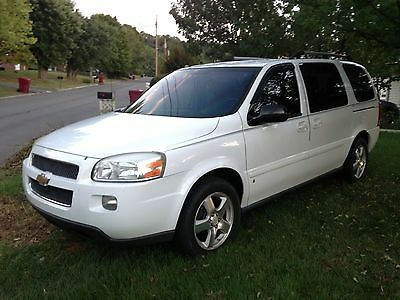 Would you sell this vehicle to a friend or family member? Please tell us about the equipment in your vehicle. Automatic or Manual Transmission? Cloth or Leather Seats? Please include any extra features your trade in has: Rate your vehicle on a scale of 1-10. 10 being Brand new and 1 being beyond repair Paint = Body = Tires = Engine = Transmission = Glass = Interior = Thank you! We will be back in touch with your vehicle's Actual Cash Value. Terms The following terms of sale apply to all of our online sales. Payment Methods Payment Types: Electronic Wire Transfer, Cash In Person, Certified check Cashier Checks our Financing at our dealership. All funds must be in US dollars only. Please be sure to have full payment and/or approved financing in place before making your final bid. Call us for more information. Deposit The successful high bidder will submit a $1000.00 non-refundable deposit within 24 Hours of the close of the auction to secure the vehicle. We will except Master Card, Visa, American Express for Deposit amount only. Payment of Balance Due The buyer agrees to pay remaining balance due (plus applicable fees and taxes) within 5 days of the close of the auction. All financial transactions must be completed before delivery of the vehicle. 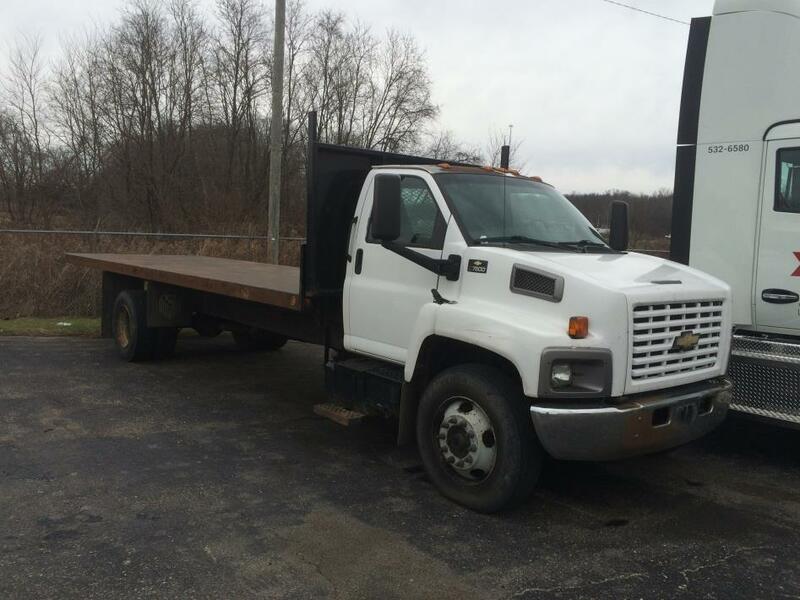 Shipping Buyer is responsible for pickup or shipping of this vehicle and charges that occur. If you choose to have it shipped using a service, we will gladly cooperate. You can locate shippers by doing a search for auto shippers. Buyer's Inspection Every effort has been made to accurately and fairly describe this vehicle to you. Wilson Country Motors ehas tried to disclose all information known about this vehicle for auction. Please be advised that used vehicles will have typical scratches and dings inherent for their year and mechanical parts are subject to fail. 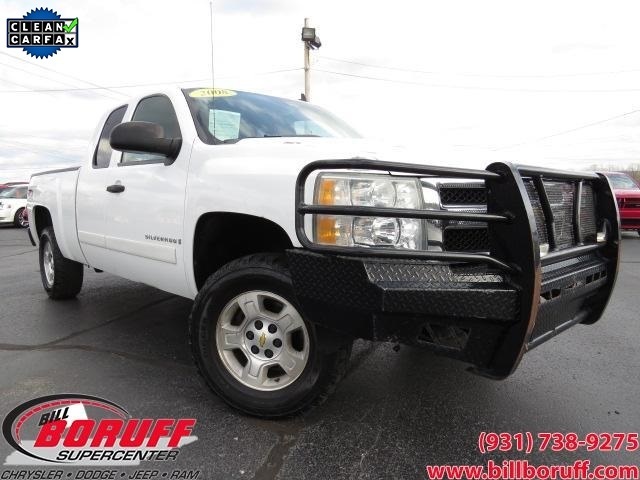 Wilson County Motors Recommends a buyers inspection on pre owned vehicles If you plan to have a buyers inspection, please make sure you inspect the vehicle prior to the auction ending. Buyer is responsible for any inspection charges and fees. Warranty Unless otherwise stated in the vehicle description, this vehicle is being sold "as is". No representations or warranties are made by seller, nor are any representations or warranties relied upon by bidders in making bids. Manufacturer's warranties may still apply. Extended warranties may be available; please contact us for details. Notice to Bidders We reserve the right to cancel all bids and end an auction early should the vehicle no longer be available for sale. Bid Retractions Bid retractions are not allowed nor will be recognized within 12 hours of auctions end. Seller will not be obligated to sell in the event of a late retraction. Negative Feedback Bidders We do not allow bidding from negative feedback bidders. New bidders with zero feedback rating should email us or call us prior to bidding. Successful Bidder The winning bidder will be contacted via email after the auction closes or he/she must contact Brian Griz with Wilson County Chevrolet Buick GMS within 24 hours to proceed with payment and delivery arrangements. Non-Paying Bidder If the deposit is not received within 24 Hours of the close of auction or if the balance is not paid in full within 3 days following the close of auction, we reserve the right to re-list the vehicle or sell the vehicle to the next highest bidder or another qualified buyer. And we will submit the ebayer for bad review. THIS VEHICLE IS FOR SALE LOCALLY AND WE RESERVE THE RIGHT TO END THIS AUCTION IN THE EVENT OF ITS SALE. Miles make sure to double check the actual milage as it may have a few more on during test drive. Notice to Brokers, Dealers, and Exporters including International Customers. We are prohibited from selling New Vehicles "not previously titled" directly to brokers or dealers. If you represent a broker or dealer and are interested in a vehicle for your customer, we can facilitate the sale and provide all documentation including titling prepared in the actual buyers "end user's" name. New vehicles must be registered in the United States prior to export. MSO's "certificate of origin/title" will not be released till proof of registration is received. Negative Feedback Bidders We do not allow bidding from negative feedback bidders. New bidders with zero feedback rating should email us or call us prior to bidding. We reserve the right to remove this listing due to on-site sales. Additional Fees and Taxes Dealer Processing fee is $396.00 Tennessee residents subject to Tennessee Sale Tax and License Fees. Out of state buyers are responsible for all state, county, city taxes and fees, as well as title/registration fees in the state that the vehicle will be registered. Local business tax of .0035% applies to all purchases Out of State DMV fee of $165.00 is added to every deal not in the state of Tennessee to aid in getting the Taxes and Tags submitted in your home state Call to verify vehicle is available before bidding or hitting buy it now. Vehicles are for sale locally and can be sold at any time. Dealer not responsible if vehicle sold without buyer contact. Fee and Tax Information: Pricing on new vehicles if applicable does include applicable factory rebates which is based on zip code 37090. Must verify applicable rebates and incentives prior to purchase based on purchasers zip code and region . Rebates can change without notice. Copyright © 2017 Auction123 - All rights reserved. - Disclaimer +- Auction123 (a service and listing/software company) and the Seller has done his/her best to disclose the equipment/condition of this vehicle/purchase. However, Auction123 disclaims any warranty as to the accuracy or to the working condition of the vehicle/equipment listed. The purchaser or prospective purchaser should verify with the Seller the accuracy of all the information listed within this ad. Selling a Vehicle? Create Professional Listings Fast and Easy. Click Here! This vehicle is in great condition. No issues mechanically or otherwise with lots of extras. Seven passenger seating with four captains chairs. The second and third row seats fold, or may be removed for storage. Safety features include traction control, stabiliTrak, 4 wheel ABS, daytime running lamps, and child restraint latches. This vehicle is equipped with Rear Parking Assist that chimes to warn of objects present from 20 inches to 5 feet away. Front and rear air conditioning with separate controls. Power steering and tilt wheel. Radio Data Sysyem AM/FM stereo, single CD player, which includes steering wheel controls. Rear seat entertainment DVD system with parental controls. Remote controlled dual power sliding doors. Equipped with overhead rail system modules for additional storage. Additional items included with this vehicle are: 115-volt power outlet, tire pressure monitor, roof rack, as well as two ignition keys, one with multi function remote. New battery installed. If you have any questions about the Uplander please feel free to ask. Thank you for your interest.